The exchanging of issues between Globe Telecom and PLDT had never been ended. For the last few days, Globe had published a press release to defend its name to some questions thrown by PLDT. What are issues involved here? Globe Telecom said in their press release that with the problems encountered in North Luzon last February 25, 2013, were primarily caused by Signaling links of PLDT and denied PLDT statement that Globe suffered FOC breaks in San Juan. 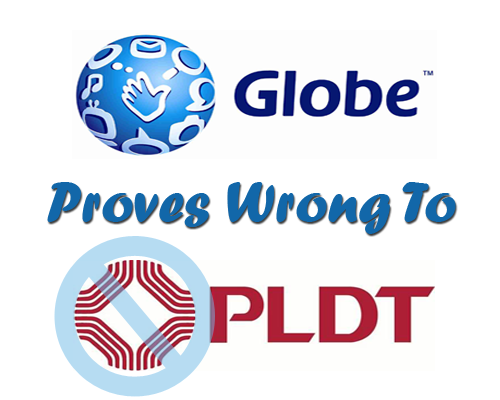 According to the head of corporate communications of Globe Telecom, Yoly Crisanto, PLDT has several inaccuracies in their statement, and PLDT refused to admit that there were something wrong with their network. It all started last February 25, 2013, that Globe Telecom reported a problem to PLDT that there was an issue in the signaling link, particularly in Bulacan. With the initial investigation, PLDT team advised resetting signaling link. However, the worst scenario occurred, in the following day(Feb. 26), the problem spread widely in the major 5 areas of Northern Luzon. For 3 days, Northern Luzon experienced outage problem in the Fiber cut. Crisanto explained that a network had been designed to give redundancies to subscribers other network options in case of an individual system have a problem, or it went down. Now, Globe Telecom fixed the fiber cut on February 28, 2013, and with that, a further thorough investigation finds that it was not just an accident, it was intentional. Globe stand firm with their investigation that outages experienced in Northern Luzon were caused by interconnection with PLDT.